The Classic Cast Iron Collection consists of a selection of items and unique gifts inspired by nature. These articles are made of cast iron, much appreciated for their rustic finish and antique look. 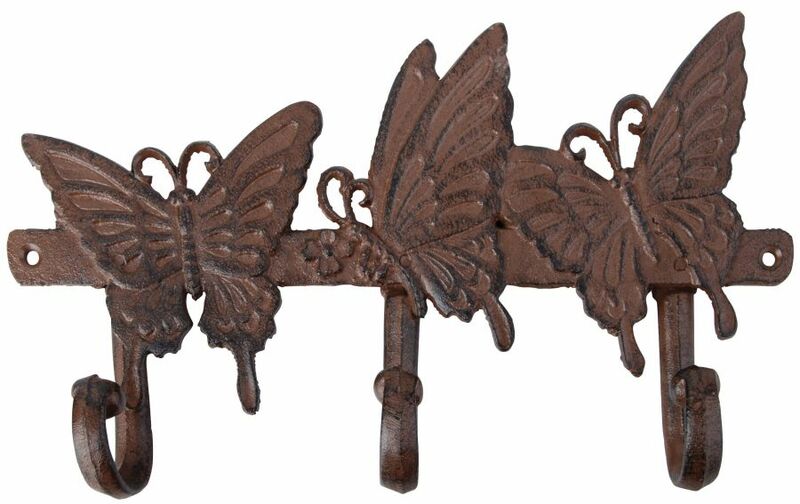 This butterfly wall rack has three hooks adorned with three whimsical butterflies that add charm to this versatile piece. Indoors, it can hold coats, hats or towels and outside, it's great for garden tools or anything you need to keep within reach. A beautiful piece, no matter where you hang it.